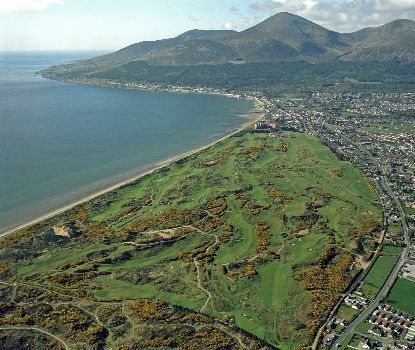 Extraordinarily beautiful and brutally difficult course nestled between the Irish Sea and the Mourne Mountains. Famed golf writer Bernard Darwin said it offered "the kind of golf that people play in their most ecstatic dreams." Often described as “otherworldly or a “moonscape," Royal County Down is big, long, full of frightening blind shots and so windy that golfers complain it blows the contact lenses out of their eyes. One of the most beautiful spots on earth to push your game to the max, and a likely future site of the British Open.